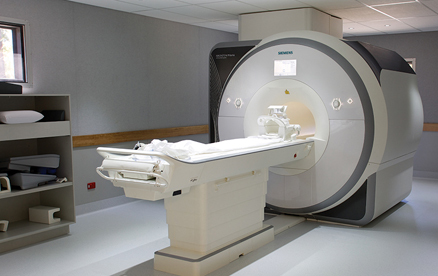 The HMRI Imaging Centre is equipped with high quality imaging technology. This includes functional MRI, diffusion tensor imaging, MR spectroscopy and clinical imaging. This powerful technology has a number of features that enhance image quality, acquisition speed, and work flow productivity. With specially designed magnetic gradient coils, it's capable of high spatial resolution investigations of structural and functional connectivity of the human anatomy. This includes brain functionality, body physiology, organ morphometry and tissue metabolism. Sensory perception studies are the basis for many research studies that use fMRI. The HMRI Imaging Centre is equipped with a fully integrated array of fMRI hardware for auditory and visual stimulus presentation, response collection, and experiment synchronisation.